Typically, most vegans are healthier than the average population. The primary reasons for that are that they consume nutrient rich foods, eat whole grains, have a higher intake of fiber dense fruits and vegetables, avoid most processed foods, and have a diet low in saturated fat and cholesterol because they don’t consume animal products. However, this is not always the case. I have met a few vegan people along my journey that are unhealthy. I have even met one that was a 20 year vegan that had to have 3 stents! Unhealthy vegans often drink too much alcohol, consume highly refined food products that contain white flour and sugar, eat lots of fried foods, and eat what I call vegan junk food. Those people were all over weight. I find it a little ironic that they care about the environment and animal welfare, but do little to benefit themselves. I believe some of this has to do with self esteem and self love. At the beginning of my healthy journey, I decided that it was time to take care of myself first and foremost. My health had failed miserably and I found out the hard way that if you don’t have your health, you don’t have anything! I decided that Respectful Living meant that I had to respect myself FIRST. If I don’t, what good am I to anyone else? If I don’t feel well or am miserable, I can’t be any good to anyone. How can I look after others, animals, or the environment if I don’t look after myself and my health first? The popularity of Veganism and a plant based diet has grown in popularity dramatically over the last 7 or 8 years. The food manufacturers have responded to this trend by providing not only healthy food options, but also a lot of pre-packaged goods. Like other pre-packaged food items, the vegan options are often loaded with highly refined food products and full of preservatives. The food manufacturers have also come out with a lot of snack and dessert options. Those with a sweet tooth have tons of options to choose from! As an example of the differences in non-vegan and vegan junk food products, I will use my personal favorite. I have always loved Ben and Jerry’s Chunky Monkey Ice Cream. They now have a non-dairy option and it is heavenly! Yolks, Cocoa, Cocoa Powder, Lemon Juice Concentrate, Guar Gum, Natural Flavor, Milkfat, Carrageenan, Soy Lecithin, Vanilla Extract. 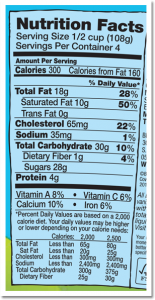 The vegan, non-dairy version is as follows: Almond Milk (Water, Almonds), Liquid Sugar (Sugar, Water), Coconut Oil, Sugar, Walnuts, Bananas, Corn Syrup Solids, Dried Cane Syrup, Cocoa, Pea Protein, Sunflower Lecithin, Lemon Juice Concentrate, Soy Lecithin, Vanilla Extract, Guar Gum, Natural Flavor (Coconut), Locust Bean Gum. There honestly is not a much of difference in nutritional value between the two! 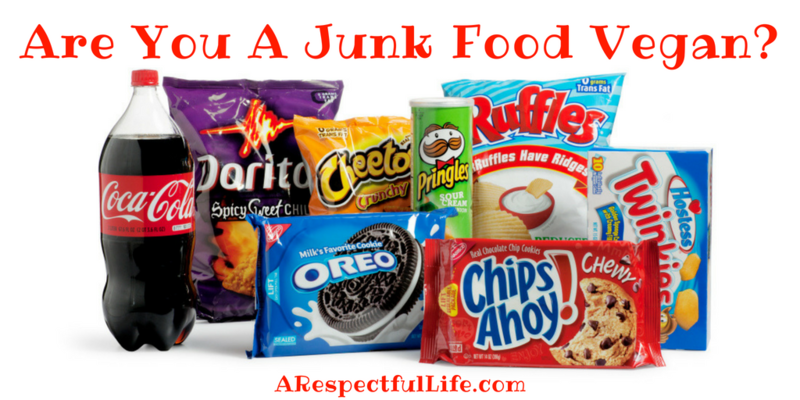 In addition to processed and pre-packaged foods, a ‘junk food vegan’ often eats a similar diet to the average person: pizza, French fries, onion rings, burritos, nachos, deep fried anything, cinnamon rolls, cookies, brownies, waffles, pancakes, cupcakes, mac and cheese, etc. All of these items can be made vegan. As a matter of point, a lot of people don’t know that Oreos, Duncan Hines Cakes, Jell-O Instant Pudding, Bac-O’s, Pillsbury Crescent Rolls, Ritz Crackers, unfrosted Pop-Tarts, Nutter Butter cookies, Krispy Kreme fruit pies, Super Pretzel frozen pretzels, Dairy Queen Star Kiss Bars, Sara Lee cherry pie, Ghirardelli Double Chocolate brownie mix, Keebler Fudge Pops, and many Frito-Lay and Nabisco product – are ‘vegan’ and non-dairy. Just because a person is choosing to not eat dairy, meat, and animal products, does not mean that they are eating healthy or getting the nutrients they need. Eating this way can be quite dangerous to a persons health. Perhaps worse than if they were eating a diet with animal products. By consuming mainly junk food, a ‘junk food vegan’ is not getting enough calcium, vitamin C, iron, or any other vital nutrients! In addition, many of the faux meat and cheese products contain a LOT of oil and often saturated fats. When I began my healthy journey, I weighed 350 lbs.! I lost over 100 lbs. in the first 6 months! In 8 months, my blood pressure was down to 100/67 and my blood testing was perfect. I was happy to inform my pill-prescribing-physician that I did it without any medications, without bariatric surgery, without a weight loss program, and without killing myself exercising! I am not saying I am so awesome, I am merely stating facts. I went from barely able to walk and climb stairs, to walking daily, climbing stairs without issues, and being able to ride my bicycle again! I got my life back in under a year and reversed the ill health that I had. 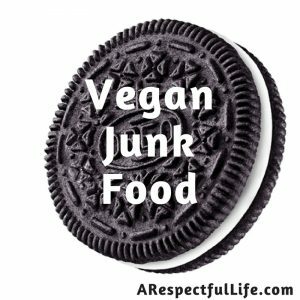 I guarantee you that I was not eating vegan junk food! I have now lost over 160 pounds! Try my 15 Easy Weight Loss Tips. In addition to these suggestions, I would encourage those of you who are not sure if you are getting what you need in your diet, and those of you that are considering a plant based diet, to do your own research. 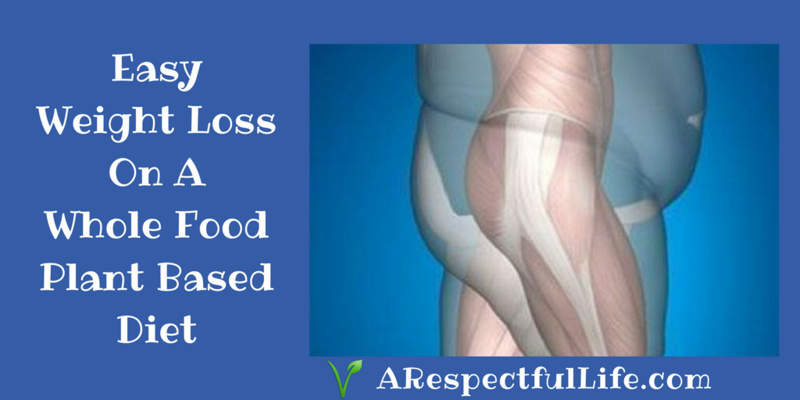 There is so much information available about the benefits of a plant based diet. If you are too lazy or too busy to do your own research, please feel free to reach out to me personally. P.S. 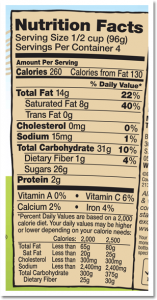 NutritionFacts.Org is a great website for additional nutrition information! Next ArticleNext Article: Do Gorillas Eat Meat? Aww thank you Chelsea! You are too sweet. So informative, I had no idea Oreos were vegan! Thanks Elicia! Very kind of you. I discovered your site perfect for my needs. It helped me do my research about this topic. Its outstanding to think one site could contain a lot information. You have something good heading here, continue the good work! Thanks Slavador! Please subscribe for updates, I send them out very occasionally. Did you email me? I’ll send you a quick email.